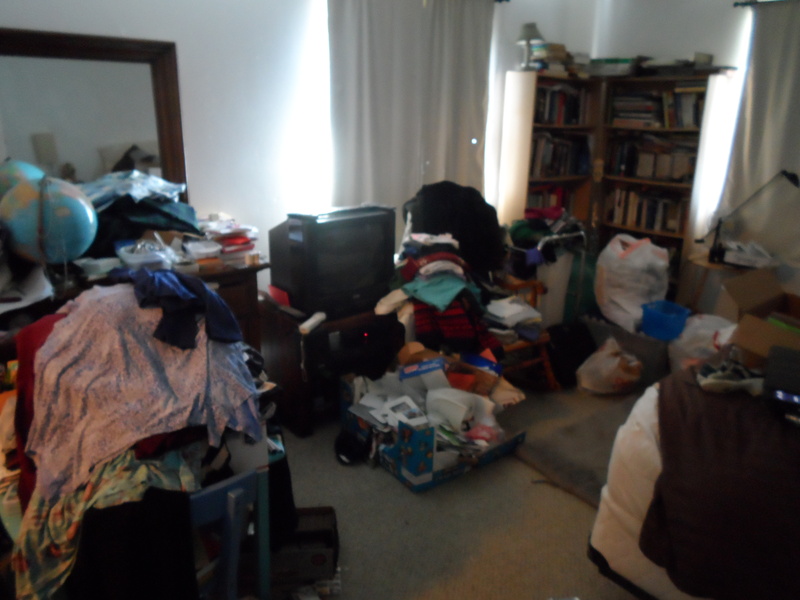 The Disorganized Perfectionist | Fighting the Clutter Monster ~ inside and out. 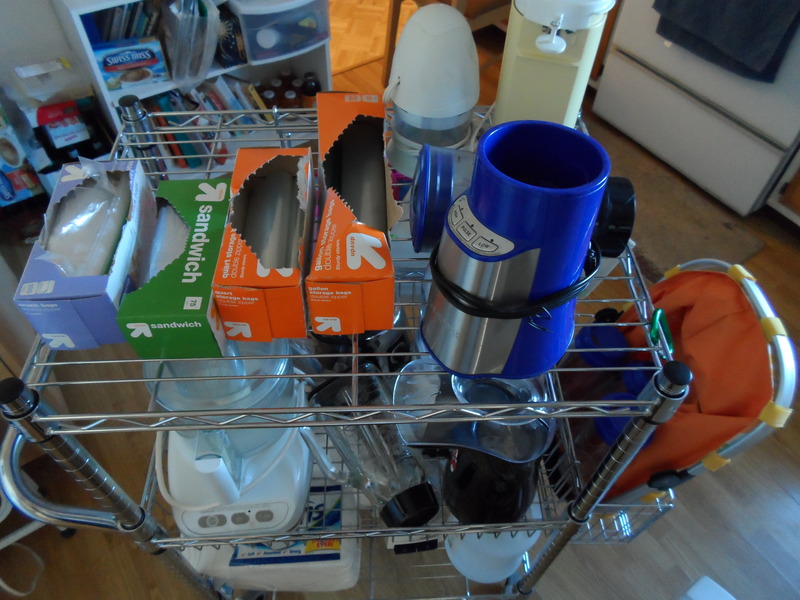 Fighting the Clutter Monster ~ inside and out. 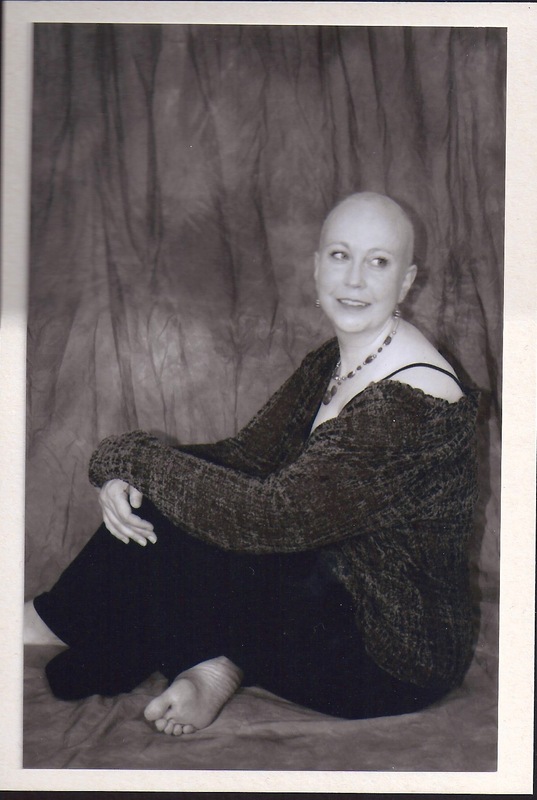 In honor of Breast Cancer Awareness Month … my memories from the day I lost my hair due to chemo. I woke up that morning, and my scalp hurt. It was a strange, exquisite kind of tenderness, a bit like the feeling when you let down a high ponytail you’ve been wearing all day. As the hair falls, after being tightly pulled in the up direction, you can feel it throb into the follicles. I reached my hands up and gently pulled on the hair, trying to relieve that bizarre ache, and it came away in my hands. I sat up, and looking at the clump in my hand I felt no emotion at all – – only wonderment at the knowledge that I alone held in that moment: today was the day I would lose my hair. I didn’t want this to freak out my children. I wanted it to be funny for them, a joke. I wanted them to laugh. So, we went outside. It was a breezy, beautiful spring day. I said, “Look what Mommy can do,” as I pulled handfuls of hair out and let the blond strands go on the wind, floating out of the yard, over the fence, down the street. I said, “We can check birds’ nests this summer, and see how many have Mommy’s hair in them.” My two-year-old ran around, giggling. My eight-year-old, quiet and absorbed, was harder to read, but even she couldn’t help but catch some of the hilarity of it. I, too, laughed. My family recently returned from our annual August trip to Vail, CO. 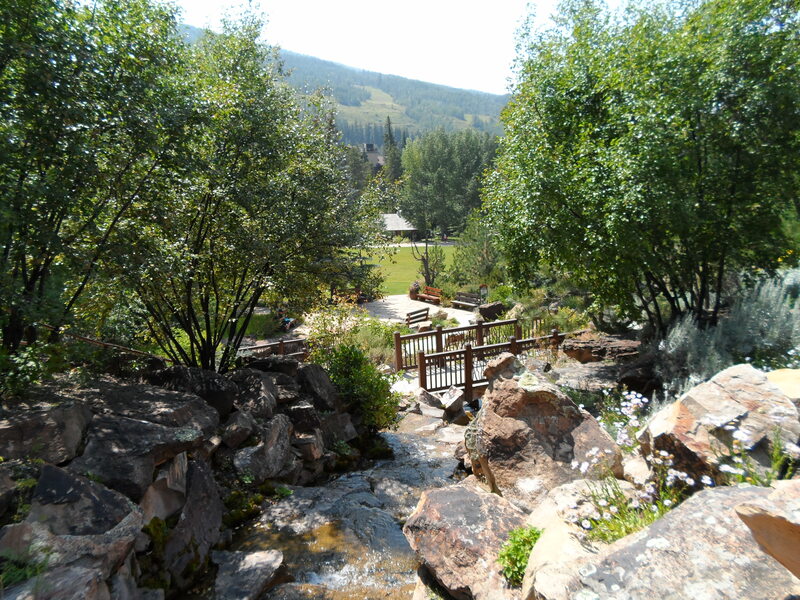 Although known for its ski slopes, it’s an absolutely gorgeous (albeit, expensive) little town at 8,200 feet, where we spend a week hiking, swimming, and playing, along with reading and resting. It’s a true Sabbath for us. Then we return, and the school year begins. 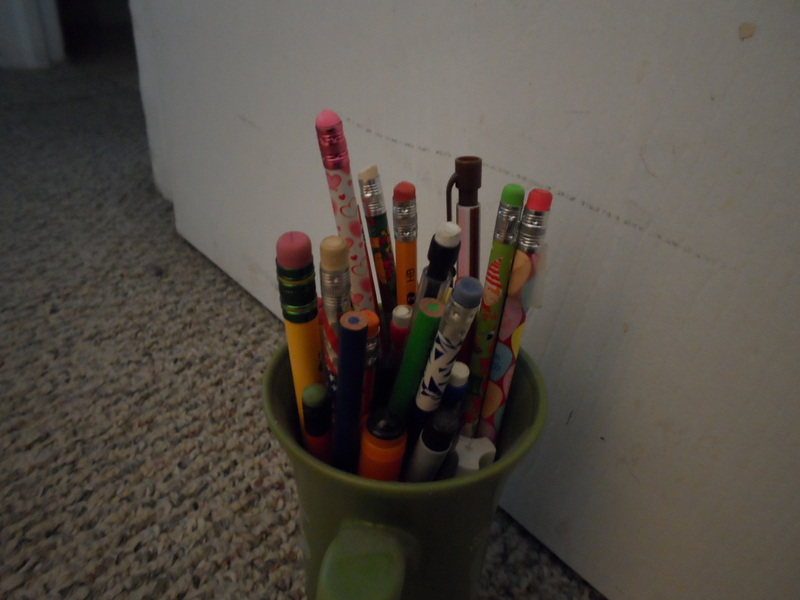 As a homeschool mom, my year becomes very scheduled starting in September, and my challenge this year is to incorporate the daily purging and simplifying into that schedule. I must keep reminding myself what it is I seek … a home that is peaceful, open, and soothing. I seek a refuge. 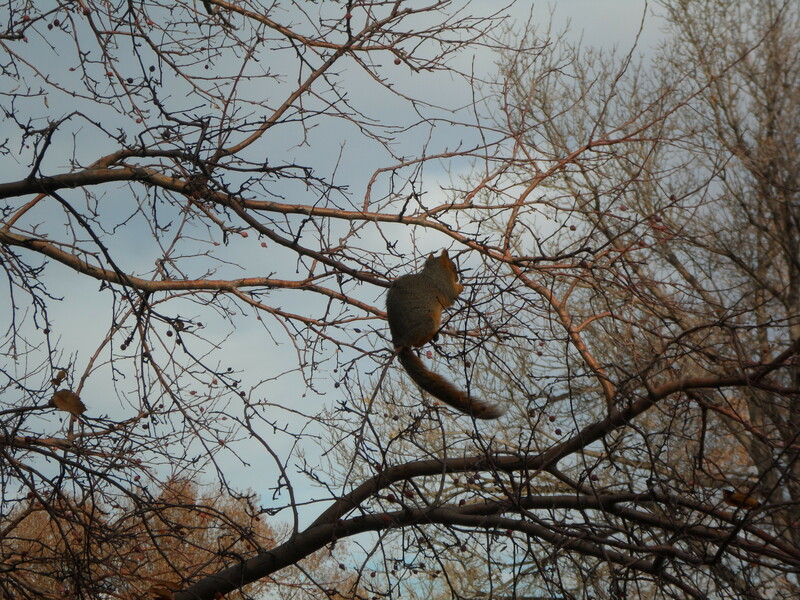 Even though the actual work is repetitive drudgery, I still have these ah-ha moments, tiny epiphanies that leave me wondering why, for the love of Pete, it took me so long to figure it out. 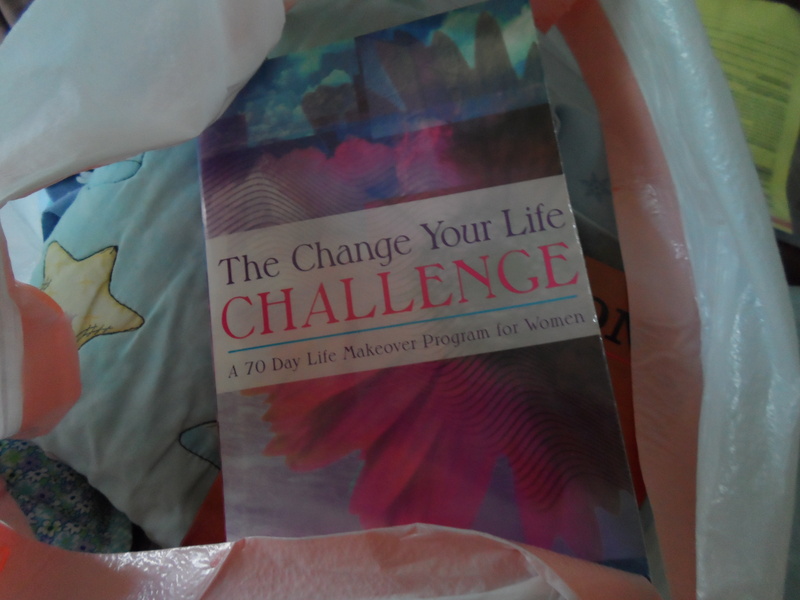 One came to me as I was working through the master bedroom (still in progress) and I came across this book: The Change Your Life Challenge. The fact that this book is happily packed up and on its way to bless someone else represents Massive Progress for me. I was able to release it from my home, thankful that it showed me it wasn’t the way for me. Did you catch what I said there? It wasn’t the way … for me. I tried this system three different times. I kept reading the testimonials, I kept telling myself, “This works! This works!” I kept reimplementing it, and … this is the kicker …. I kept finding fault with myself because it wasn’t working. And then, a while back, I was talking to a homeschooling friend about forms — those systems we create in our homes to help things run smoothly — and she said, “The greatest form in the world, the one everyone says is The Answer, it may not be the right form for you. You really have to find your own way.” This little nugget of wisdom buried itself in my brain, to sit and germinate for a bit. A few days ago, I clicked on a blog post about ants being wise. I wish I could find the post, but alas! It’s not to be. It has disappeared into the ether. So I’m very sorry to whoever wrote it — you won’t be getting credit from me here. I tried. The gist of the post was that this man needed to write a Ph.D. dissertation, and he was too busy procrastinating to do it, due to feeling overwhelmed. Have you ever been there? You feel so overwhelmed that it’s paralyzing. A friend bought him an ant farm, and what he noticed was this: although, up close, the ants were only moving one grain of sand at a time, over time they ultimately changed their entire environment. He started viewing everything as a grain of sand. I will write one sentence (and move one grain of sand). I will research one idea (and move one grain of sand). In the end … he had a dissertation. It’s become my mantra. As we work through the simplifying and organizing of our home, I try not to look at the big picture. The big picture is overwhelming. I simply take one step at a time. This last weekend, my husband and I sorted and cleaned the walk-in closet in our bedroom. This closet is huge — the size of a small bedroom — and we started by emptying it into the room itself. At this point I felt like I might cry. It seemed insurmountable. Stuff was piled everywhere, and I told my husband — I’m taking a break, before I’m the one breaking. He came and found me, and said, “You’re just moving grains of sand. That’s all you’re doing.” God bless my husband, because even though I was saying it … moving sand, moving sand … hearing it helped me tremendously. I hold each grain in my hand, and I decide if it belongs with me, or with someone else. That I can do. Ultimately, we filled 13 bags with things that can move on and bless others… 13 bags of sand. 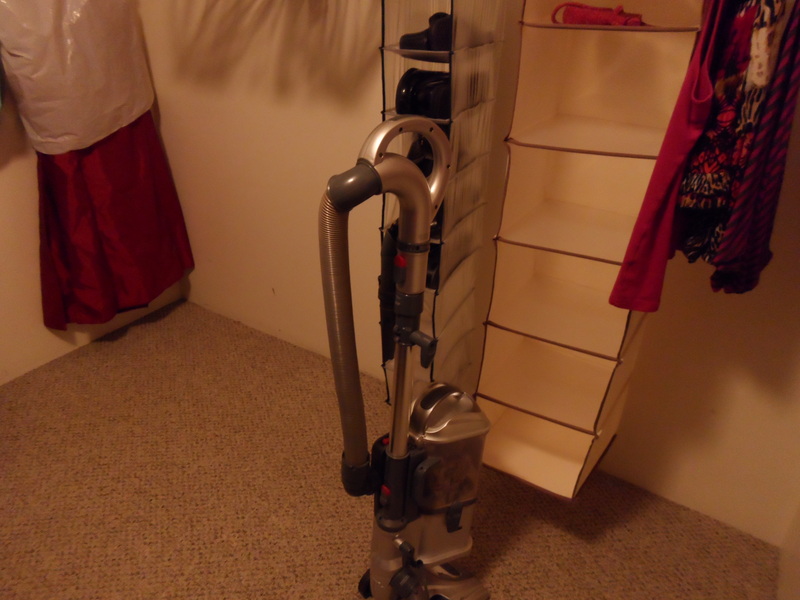 With all of that newly created space, the closet floor and the vacuum were able to get reacquainted. The card is interesting, in this journey toward simplicity. It is telling, because it shows how I used to approach this huge project of organizing my house and my life. I approached it by not treating it as a project at all, but as a series of little things. If I do this little thing, followed by this little thing, eventually I’ll have what I want. But it didn’t really work that way. I never actually got where I wanted to be. I never gained ground. Instead, I felt like a giant bulldozer moving stuff from here ——-> to here, but the only thing accomplished was that it was moved. It wasn’t any better than before. The card ultimately served to encourage me today. The first two little things on my short list were accomplished. The shredder is in the kitchen, which certainly helps me keep on top of the mail. And the litter boxes are in the laundry room, which was thoroughly sorted, cleaned, and put back in a functional manner. 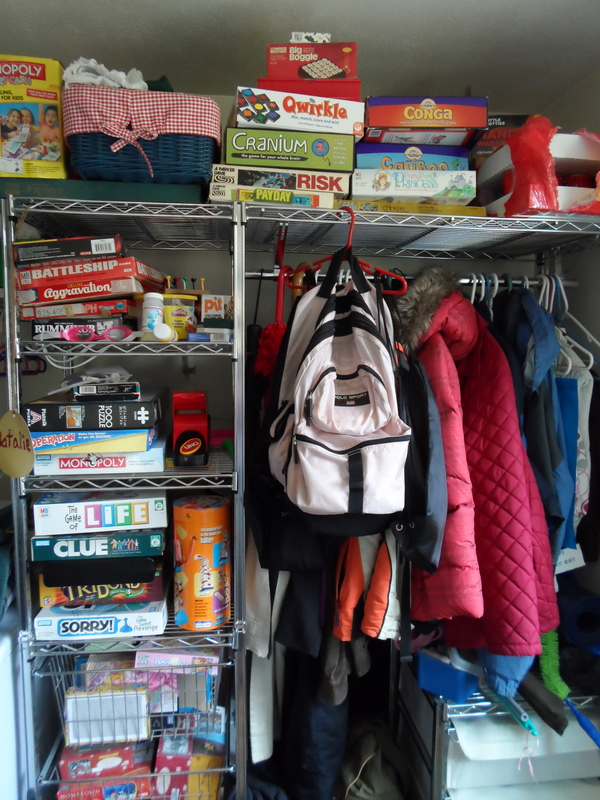 The most visible evidence of that functionality is that games and puzzles, which used to live in three different closets in the house, now all hang out in the same place. They are happy (if stuff could really be happy) and we are happy. It is the third thing, however, which truly opened my eyes to how I’ve changed. 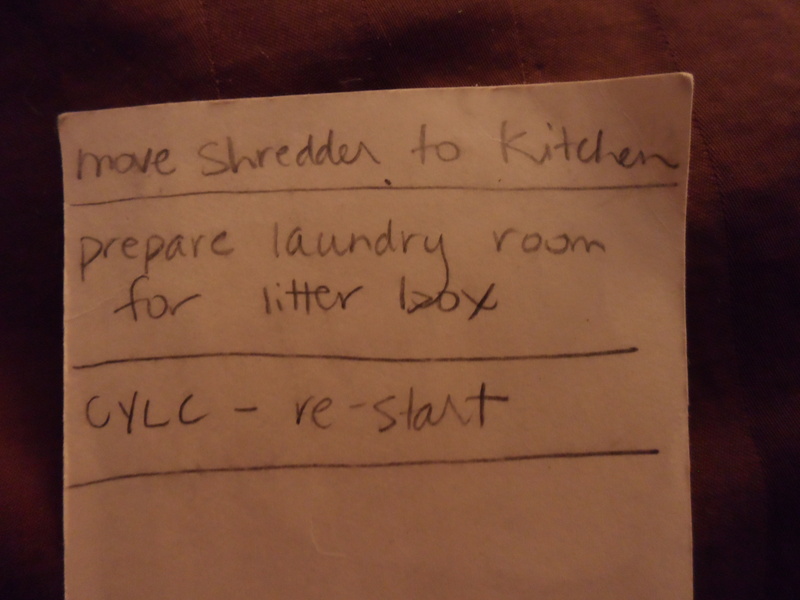 “CYLC – re-start.” CYLC stand for “Change Your Life Challenge,” one of many systems I tried (unsuccessfully, I might add) to implement to help me stay organized and tidy. I would start … and stop. Try … and fail. Get up and try again … and fail. Get up and try a third time … and fail. But that is the past. I’m no longer failing. I’m seeing progress. I’m happier in my home … and the question is Why? The answer is quite simply that I quit trying so hard to change my environment and instead, I changed … me. God gave me this inspiration, a vision (so to speak) in my imagination. I visualized a beaver dam, with an beaver pond created behind it, and only a trickle of water flowing out of it downstream. I understood that this represented my life. I had created a dam (by the way I was living), and all that water was blessing. I was blocking it from flowing. For example (one of many, many examples)… I had this short-sleeved green shirt that was, quite honestly, ugly on me. Yet because of my attitude (something I had internalized, I’m not quite sure what, but I’ll call it poverty mentality), I wouldn’t get rid of it. It was functional. It fit. So even though I really, truly did not like it, I continued to wear it. I didn’t want the beaver pond, though. What I wanted was a rushing stream, where the blessing not only flowed to me, but through me and on to others. I started going through a small ritual when I would sort through things where I would open up my hand and say, “My hand is open to share. My had is open to bless others.” So, that green shirt? It’s been given to a charity, where I hope someone has picked it up who feels amazing in it. To close for today, dear reader, I want to share the titles of three books I’ve read this past year that have helped me change my perspective, my relationship with my stuff, and my sense of walking in blessing instead of lack. Organizing from the Heart: Change Your Mindset, Conquer Your Challenges by Stephanie Baker, Beth Beutler, & Karina Whisnant — If you use this book, make sure to do the work (the meditations and reflections). The journaling I did with this book changed me. One Thousand Gifts: A Dare to Live Fully Right Where You Are by Ann Voskamp — This book is lyrical, and encouraging. It helped me focus on releasing my discontent and frustration, and instead facing each moment looking for blessing and expressing gratitude. Until next time… May the blessing of God overtake you. My life, at the moment, is one huge self-improvement project. I seek to sweep out the clutter, not just in my physical environment, but in my internal one as well. I’m currently in an adult project with my homeschool commonwealth, and I’ve decided to share a paper I recently wrote for that project. We read A Christmas Carol by Charles Dickens, and our assignment was to write about what we would need in our life to bring about change, in the same manner that the three spirits brought about change for Ebenezer Scrooge. Well … here it is. If one were to ask me what is the most important change I need to make in my life, I would respond that I need to be more fit. I need to improve my level of fitness because I have chronic aches and pains, I lose energy midday, and I still carry around the baby weight from my last pregnancy – TEN years ago. There is a disconnect, however, between knowing what needs to happen and having it happen. I have tried many programs of exercise, but none have had staying power. Something inevitably happens to derail me – either my back starts to hurt me, or my sinuses clog up, or my schedule gets crazy and I miss too many days. So, what would need to happen for me to make a change that is lasting? In A Christmas Carol, Ebenezer Scrooge is visited by three spirits of Christmas, and in showing him his life from a new perspective, they are the catalyst of life change in Scrooge. They changed him because they helped him see the truth of his life in a way that was shadowed to him previously. They turned on the light, so to speak. In my situation, I also need the light turned on. In thinking about it, I’ve drawn a couple of conclusions about what will make that happen. First, I need to really know myself, and understand what will work for me and what will be possible to maintain. 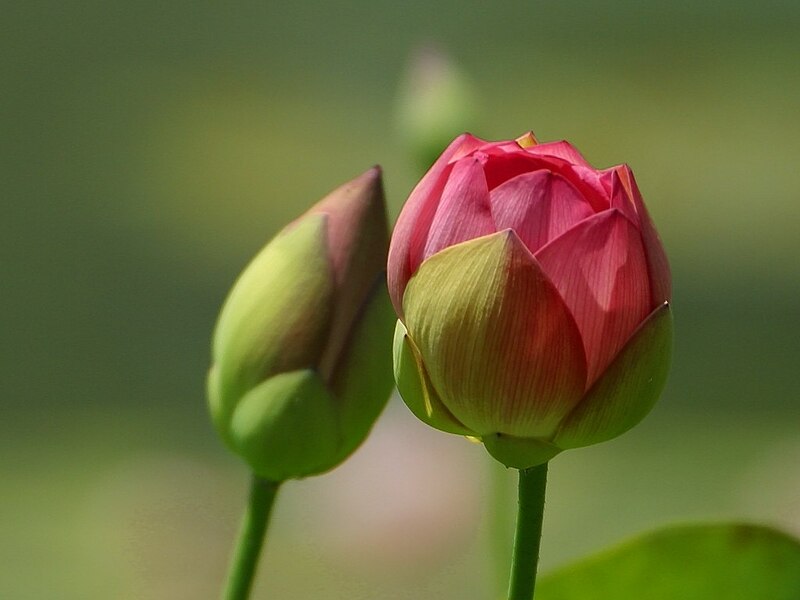 Second, and flowing out of the first, I need to recognize, face and clear the underlying emotional and spiritual issues that prevent me from changing. In order to know myself and predict what will effect lasting change, I look to another area of my life where I have recently experienced success in bringing about change. 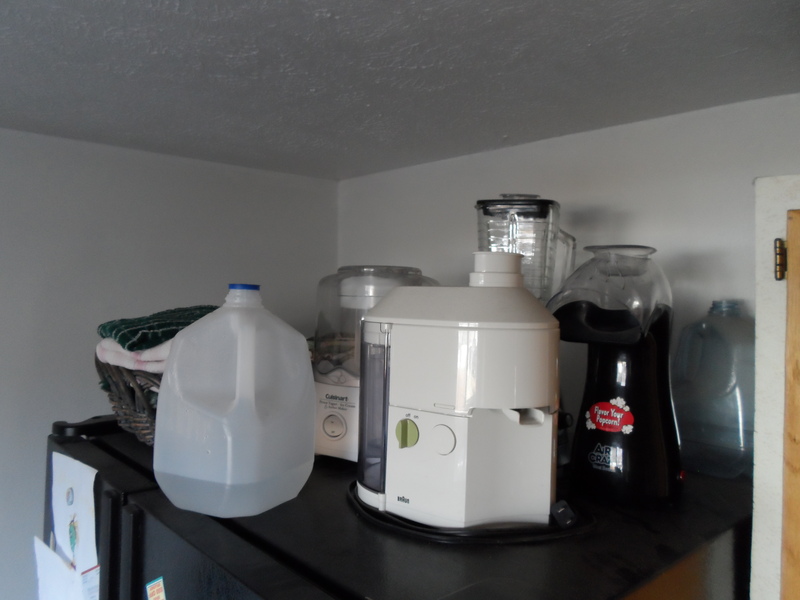 This area is in my home, in bringing about order and clearing out clutter. This is another situation in my life where I tried many programs, many systems, and never achieved success… until now. What has changed? I’ve finally changed my perspective and started looking at my physical space through spiritual eyes. I recognized that emotional issues have been preventing me from experiencing the change I longed for, and I started to prayerfully deal with those issues head on. Additionally, I started to view organizing as an act of worship, as I bring order from chaos as God did in the beginning. In short, I’ve begun to perceive the value in my home keeping goals as it relates to my walk with Christ, and doing so has given me hope of lasting results. So how do I relate my level of fitness to my walk with Christ? I think the answer is twofold. The first part isn’t hard, and involves simply acknowledging that when I feel better and have more energy, I’ll be able to accomplish more. Also, when I feel better physically, I naturally feel better emotionally, and I’ll want to accomplish more. This “more” isn’t just consistency in my devotional time, but also a greater capacity to serve, to love, and to do the practical things in living out my faith. Love and gratitude, not just for God Himself and for the gift of the Holy Spirit dwelling within me, but for this body He has given me. Yes, love and gratitude for this body He has given me. This. This. This is my great struggle, and this is the critical thing I must face if the light is going to come on and stay on and shine into this part of my life. You see, I don’t feel love or gratitude. In fact, if I’m completely honest what I feel is ugly to admit and unbelievably challenging to face. What I feel is anger. I’m angry that my body is covered in scars. I’m angry that I still experience nerve pain, and scar tissue pain so many years post surgery. I’m angry that my breasts aren’t my own. I’m angry that they had to dissect my back muscles to help reconstruct what had been destroyed. I’m angry that my chest wall is numb and I can’t feel my husband’s touch. This anger must be directed somewhere and so it is directed at this body that betrayed me, this body that bears battle scars from a war I never wanted to fight. I’ve had people tell me that I should be amazed by my body, by its ability to heal and survive and adjust. And although I know this to be a true thing in my head, I cannot force my heart to agree. So how do I release it, how do I clear it, how do I get rid of the exquisite tenderness I still feel when I think of what cancer has left me with? What will be the equivalent of three Christmas spirits in my life that will help me turn a head truth into a heart truth? The answer to this isn’t an easy one. It is a work, not some magical one-night experience. Every day, I read the quote I have taped up to my kitchen window. It says, “On every level of life, from housework to heights of prayer, in all judgment and efforts to get things done, hurry and impatience are sure marks of the amateur.” This isn’t a race. This life change I seek will not occur overnight. It will occur as I engage in the work. This work will consist of different things, all necessary and none sufficient on its own. I know myself, and I know that setting a long-term goal could be very discouraging for me if I don’t see results fast enough. So I won’t set one. I’ll only set a goal for today. I’ve had measurable results using EFT (emotional freedom tapping) in other areas of my life, so I will turn that work toward my relationship with my body, and I will gradually clear the ugliness away. I will pray. I will work my muscles and breathe deeply and drink more water and be more intentional about nutrition. Yes, today I will do those things. I have the strength to commit to today. Then tomorrow, I will rise and I will ask myself if I have the strength to commit for one day. Past failures are irrelevant. Future successes are like fog on the horizon. All that matters, and all I can control, is what I choose to do today. So today, I will engage in the work. Each day, I will choose, and when my choice is, “do the work,” I will mark it as a small step toward the light. I’ve had this to post for the longest time, but the Holidays happened, and my home turned into a rush of decorating, baking, giving, fellowshipping, entertaining, and celebrating. It was lovely, and I hope yours was as well, dear reader. 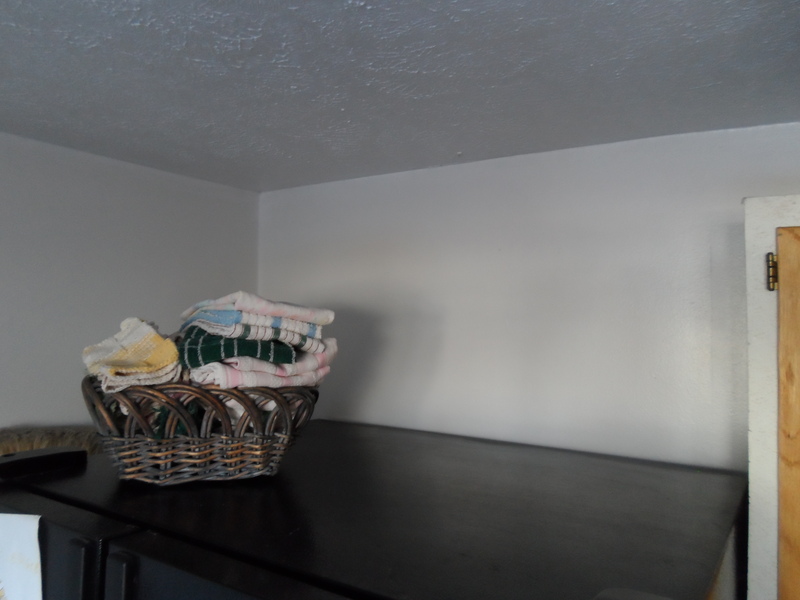 The laundry room is clean, organized, functional, and I am so thrilled at the accomplishment. I’ve tried so many systems and plans and programs, which haven’t worked, that I do believe the most paralyzing thing I’ve been facing all along is the fear of failure. But it’s absolutely working, and the feeling is really wonderful. All the games live there, instead of in three different closets, as well as puzzles, and winter wear; and the house-cleaning supplies are all together and the laundry supplies are all together, etc., etc. It’s made such a difference to approach it spiritually. Praying about my purpose in my home, journaling about it, and dealing with all the leftover issues from being sick has granted me success in this area for the FIRST TIME! The second thing I’ve implemented is keeping my 3-point zone clean every day. I realized how hard this was because of visual clutter. Even when I’ve tidied, there are things that just live in a cluttered state, like the top of my refrigerator. Since my kitchen is part of the 3-point zone, I set about trying to make more empty space. This cart lives in the closet under the stairs, and you can well see that it’s been a gigantic mess. 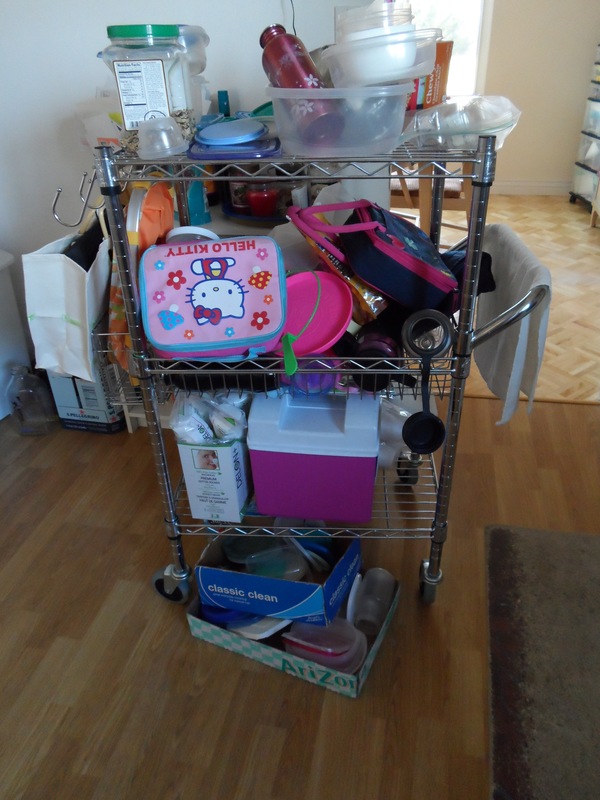 I cleaned off the cart, and made it a home for all small electronic appliances, which had all been stored on the fridge and in various cupboards, and even on counters throughout the kitchen. The result was pleasing, and is working well. I’m amazed at how much better I feel, in general, when the front room and kitchen are picked up and put away. 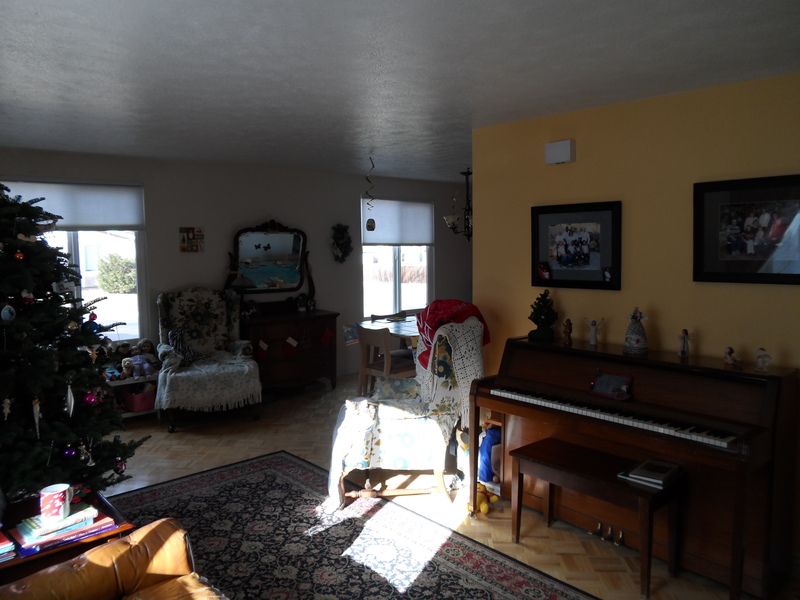 Front room at Xmas. Not perfect, but not bad. My prayer for my home: Father, I ask You to energize me with the desire and wisdom to re-organize and clean my home. Thank You for answering with workable solutions and stamina to stick with the goal. It’s an ugly word really, with ugly emotions attached to it. I’m not through organizing the laundry room, but it’s definitely in progress. It’s not stalled. The project isn’t a failure. 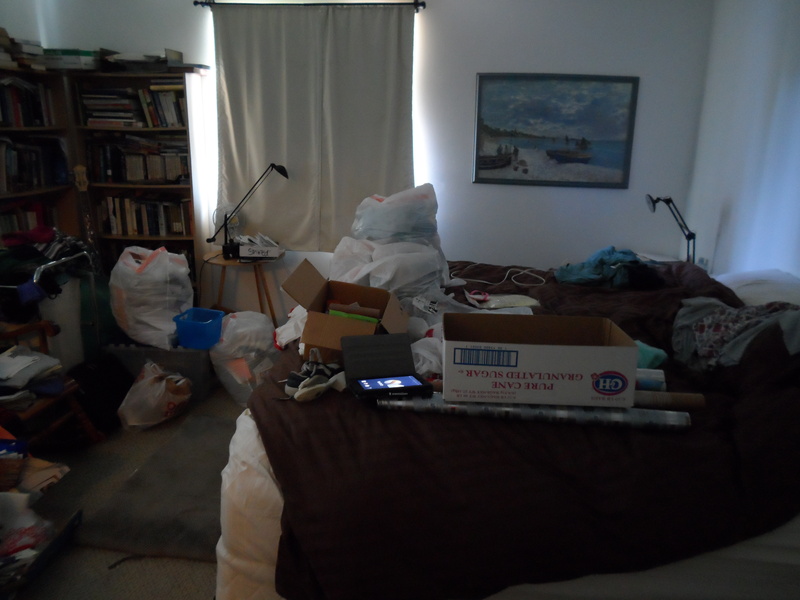 It’s creating an enormous mess in my den, which is frustrating, and it’s taking longer than I imagined it would (typical, by the way), which is frustrating, and I hate going in there to actually do laundry because of the half-doneness, which is frustrating… Need I go on? But it’s still going. We worked on it some just this morning. We’ve given wooden puzzles away so they can be played with again, we have a stack of coats and things to bless someone with, we’ve thrown away 100-year-old silver polish and carpet cleaner and broken umbrellas. It’s going to be wonderful and functional once it’s finished. Part of the reason it’s taking so long is because, you know, life keeps happening. I have to keep homeschooling, and cooking, and food shopping, and washing sheets, and, well … grooming. If I could put it all aside, the project would take no time. Added to that, I’m trying something else new, and here’s where the anxiety comes storming in. I’ve decided to implement a new form for keeping my house tidy, so I’m not afraid to open the door and let in an unexpected guest. It’s the Three-Point System from Organizing From the Heart, whereby I choose the three most important zones in my house, and I keep them tidy, always. I’ve chosen my kitchen, the downstairs bathroom, and my front room. It’s not hard, not objectively. It’s just that I’ve tried many other systems before, and … here’s the hideous word … failed. I won’t go through everything that I’ve tried that’s flopped. It isn’t necessary. But I am determined that this time will be different, because for the first time, I’m dealing with it on a spiritual level. First, I’ve spent some time truly thanking God for those rooms, and the blessings they bring. Then, with thanksgiving, I’ve asked God to fill my mind with little creative miracles that I can implement to bring order and peace. Finally, I’ve chosen to treat this as an act of worship. I will bring order from chaos, as God did in the beginning, as an act of worship to Him. I will faithfully walk out, knowing it can be done, believing I have been gifted to do it, and I will achieve that previously elusive thing.